What if I told you that you could catch fish for dinner right in your own backyard? And if you did, what if I told you that right up until you caught those fish, they were growing the veggies for the rest of your dinner? Would you believe me? You should! This is all within reach using a new style of gardening called Aquaponics. Aquaponics is, at its most basic level, the marriage of aquaculture (raising fish) and hydroponics (growing plants in water and without soil) together in one integrated system. The fish waste provides organic food for the growing plants and the plants naturally filter the water in which the fish live. The third and fourth critical, yet invisible actors in this symbiotic world are the beneficial bacteria and composting red worms. Think of them as the Conversion Team. The beneficial bacteria exist on every moist surface of an aquaponic system. They convert the ammonia from the fish waste that is toxic to the fish and useless to the plants, first into nitrites and then into nitrates. The nitrates are relatively harmless to the fish and most importantly, they make terrific plant food. At the same time, the worms convert the solid waste and decaying plant matter in your aquaponic system into vermicompost. What Types of Fish Can You Use in Aquaponics? Any type of fresh water fish works well in an aquaponic system. Tilapia is perhaps the most widely grown aquaponics fish, but aquaponic gardeners are also growing catfish, bluegill, trout, and even red-claw crayfish. Not interested in eating your fish? No problem! Koi, goldfish, and any decorative fresh-water fish you would purchase from a pet store work as well. In selecting your fish, however, you do want to pay attention to the temperature at which they both thrive and survive. Tilapia, for example, can survive down to temperatures in the low 60s, but they won’t thrive until they reach the mid 70’s. In contrast, trout will survive up to a maximum temperature of 65, but won’t thrive until their water is in the high 40s to low 50’s. What Types of Plants Can You Grow in an Aquaponic Garden? There are also only a few limits to the types of plants you can grow in an aquaponics system. In fact, the only categories of plants that won’t thrive in an aquaponics system are plants like blueberries and azaleas that require an acidic environment to thrive. This is because aquaponic systems stay at a fairly neutral pH and therefore are a poor environment for plants requiring a pH of 4.0 – 5.0. So can all of this work in any climate? Absolutely…with some protection. A backyard greenhouse is ideal because not only can you create an ideal environment for your fish and plants, but the sunlight is free! As an added bonus, all the water in the fish tank, sump tank and grow beds creates thermal mass in your greenhouse which helps moderate temperature extremes. If you aren’t fortunate enough to have a backyard greenhouse, you can also grow inside. Many aquapons have dedicated their garages and basements to their aquaponics systems! Aquaponic Gardening enables home fish farming. You can now feel good about eating fish again. Aquaponic Gardening uses 90% less water than soil-based gardening because the water is re-circulated and only that which the plants take up or evaporates is ever replaced. Aquaponic Gardening results in two crops for one input (fish feed). Aquaponic Gardening is four to six times as productive on a square foot basis as soil-based gardening. This is because with aquaponic gardening, you can pack plants about twice as densely as you can in soil and the plants grow two to three times as fast as they do in soil. Aquaponic systems only require a small amount of energy to run a pump and aeration for the fish. This energy can be provided through renewable methods. Aquaponics does not rely on the availability of good soil, so it can be set-up anywhere, including inner city parking lots, abandoned warehouses, schools, restaurants, home basements and garages. Aquaponic Gardening is free from weeds, watering and fertilizing concerns, and because it is done at a waist-high level, there is no back strain. Aquaponic Gardening is necessarily organic. Natural fish waste provides all the food the plants need. Pesticides would be harmful to the fish so they are never used. Hormones, antibiotics, and other fish additives would be harmful to the plants so they are never used. And the result is every bit as flavorful as soil-based organic produce, with the added benefit of fresh fish for a safe, healthy source of protein. Aquaponics is completely scalable. The same basic principles apply to a system based on a 10 gallon aquarium and to a commercial operation. Aquaponic gardens are straight forward to set up and operate in your own backyard or home as long as you follow some basic guidelines. 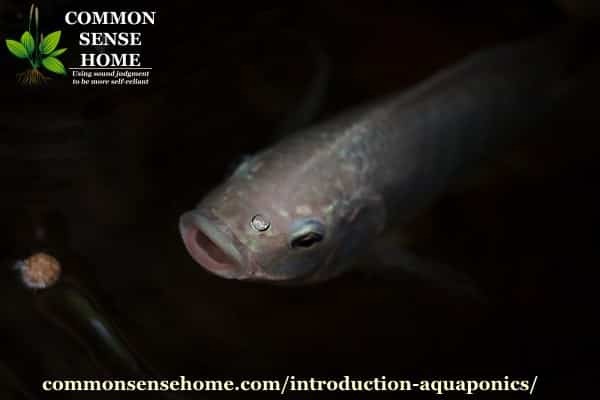 If you want to learn more, we have just launched a free Creative Commons guide called “The 12 Essentials for Aquaponic Gardening Success” which you can download here. I have also written a book called “Aquaponic Gardening: A Step by Step Guide to Growing Fish and Vegetables Together” as resources. The main point is to set up a system soon and become food independent! There is simply no reason to rely on the fish counter anymore. 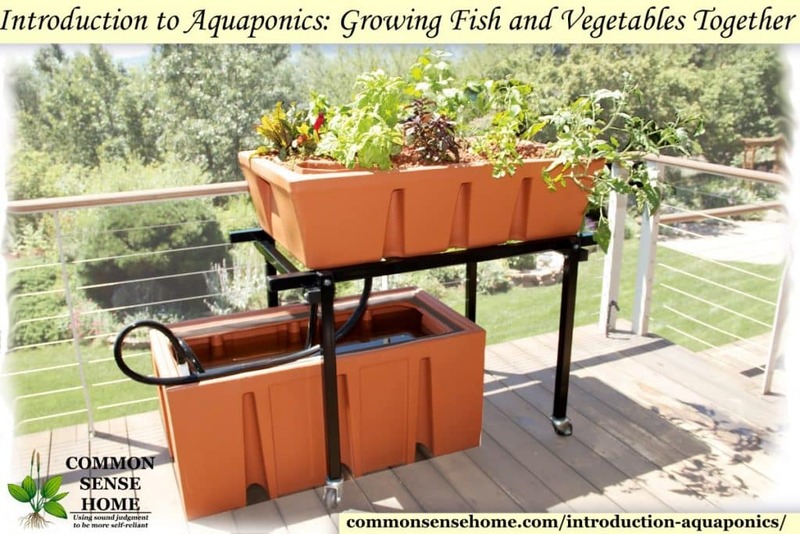 This is a guest post by Sylvia Bernstein, Founder and President of TheAquaponicSource.com – Aquaponics Gear and Resources. Sylvia has been professionally involved in aquaponics and hydroponics since early 2003. She wrote the award-winning and best-selling book, “Aquaponic Gardening: A Step by Step Guide to Growing Fish and Vegetables Together.” She co-founded The Aquaponics Association and co-organized the first annual Aquaponics Association Conference in 2010. The Aquaponics Source also founded and runs the Aquaponic Gardening Community, which is the largest and most active aquaponics forum in North America. Their headquarters in Longmont, CO is the largest (non-farming) aquaponics facility in the Northern Hemisphere (7600 sq ft), and includes a retail store, systems showroom, training center, and a research and development lab. 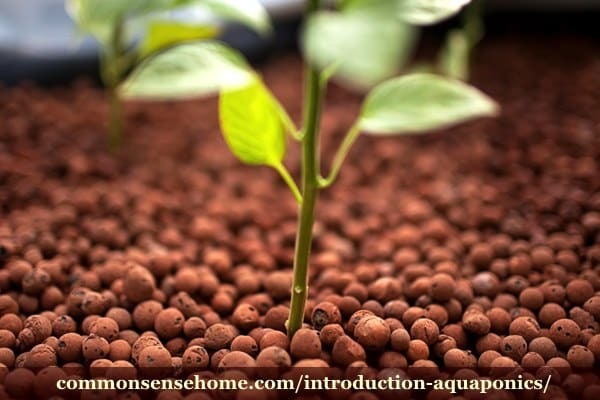 You can follow The Aquaponics Source on Facebook at http://www.facebook.com/TheAquaponicSource and Twitter at @aquapon. All photos courtesy of The Aquaponics Source. You may also enjoy other posts in our Getting Started Series. The open source guide would not download. Has anyone else had a problem? This sounds like a “doable” project. How sustainable is it? Where does the fish food come from and could I grow my own? I am sure those questions and answers are in the guide. I look forward to reading more. Thanks for bringing awareness. Pam, not sure what happened, but it worked fine this morning. If you try again and can’t get it to work, let me know and we can send the pdf directly. Pam, sustainability: electric: from as little as 20 watts to 60 watts. A small solar setup. Water: uses so little, that good water gathering skills can maintain, like rain and storage for droughts. Fish food: At this point, commercial is most common. There is much research all over trying to make inexpensive, organic, homegrown fish food. Mine will eat my roots, so old plants are left on fish tank before composting. Good luck! where would I find tilapia to grow in this? Try leaving a message on their site and I’m sure they can help you out. Sorry about the broken link! Not sure what happened there but it is fixed now – http://theaquaponicsource.com/12-essentials-to-aquaponic-success-guide-dl. Nice! Will try to download on laptop. Do the fish breed in captivity or do we have to replenish periodically? They should be able to help you with that question on the aquaponics site. Years ago I built a very small pond with a stream and a very small water fall. I stocked the small pond with Koi fish and to feed the fish I hung a “bug zapper” above the pond and took the catch tray out of it and “wa la” automatic fish feeder and it’s all natural too. The fish loved it and I didn’t have to buy fish food and I could skip feedings for days & weeks because the were feed automatically. Early in the spring you will have to feed them some fish food as the bugs are not out in force yet but in the Summer the bug zapper is firing on and off all night and the fish are LOVING it jumping out of the water to catch the crispy morsels of delicious fried insects. BEST IDEA I EVER HAD…. that is the best solution i have read yet! pond, stream waterfall and bugs i would like! plastic containers for fish, pumps, fish food…. all way to complicated and the past winters we had, i would have to mega insulate a tank with fish if the system is to provide food 12 months long. I get that even with a pond growing vegetables say on a floating bed would not work in the winter here either, but with a deep enough pond at least the fish would be fine. I’ve seen these setups paired with a greenhouse, too, or with grow lights in a basement or other indoor area. I would love to have a setup like this. Is there any downfall to this? Is it sustainable long term? I have I have always found aquaponics extremely interesting and your post has made me excited all over again to finally give it a try. Like anything with moving parts, things will wear over time, and eventually plastic will become brittle. I would still expect many years of use from the system.